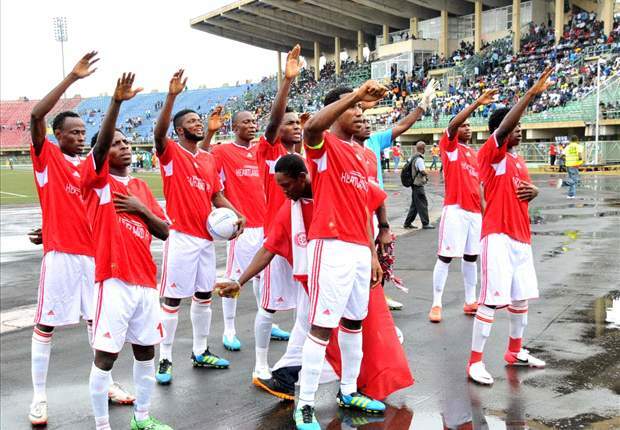 Abia Warriors Football Club of Umuahia hard tackling defender, Ozor Chinedu, has expressed disappointment and regrets over his club's ouster in this year's AITEO (Federation) Cup by Ekiti United. Speaking after the match at the Oluyemi Kayode Stadium in Ado- Ekiti , Ozor said the penalty shootout loss by his team was not what they bargained for. "We did our best to win the game but it was'nt just our day. Up till now we still don't believe what happened," the former Sunshine Stars of Akure player said. In an answer to a question, Ozor said they never underrated the lower League side insisting that the result was part of the surprises usually associated with cup games all over the world. While apologizing to their numerous fans and the club management for the disappointing outing, the defender said they will make it up for them in the league. "We have put the disaster behind us and will now concentrate on the league to ensure we finish well at the end of the season", he said.